The first time I saw the Miscreants group show, the Off The Kerb team had barely begun to hang. Even so, Steve Gavan’s vibrant digital prints caught my eye immediately. Great to see them (and some red dots) on the walls yesterday. The team at Local Shop / Flowers by Entwine have put all my favourite things into their Christmas window. Vintage style ornaments, faux trees, spindly legged, glitter encrusted reindeer…So much to love. Tahina serves great vegetarian Israeli street food. Everything on the blackboard looks delicious, and the shakshuka comes in three colourways – white, red and green. My green platter (baked eggs with broccoli, avocado and zucchini) was delicious, and my friend was very happy with her red (spicy tomato sauce) one. Somehow we also found room for the medjool date ice cream, made by the folks at Billy Van Creamy. A huge and very satisfying brunch! Find Tahina at 223 High St, Northcote. 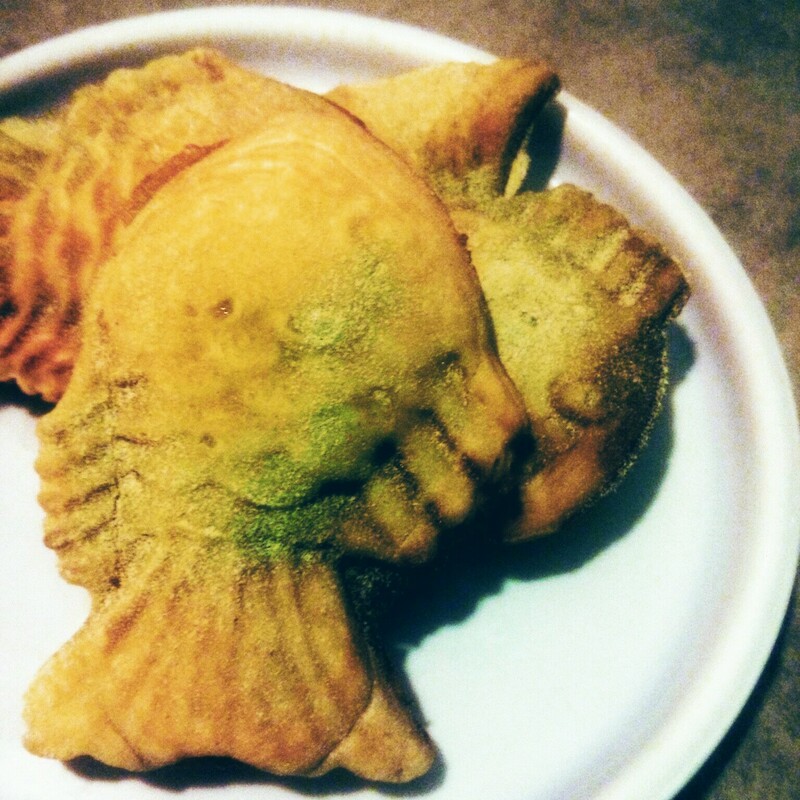 Thank you Sweet Salt for bringing Taiyaki to Northcote! I’m happy to say they serve ice cream Taiyaki also, which they make in-house. And yes, both are delicious…Find Sweet Salt at 296 High St, and make sure you leave room for dessert.